In Prolix, players score points by coming up with words whose letters match those of the Letter Chips on the board. Unlike other word games, you don’t need all the letters of a word to be on the board to use that word. This means that you are free to use all those words you always wanted to use in other word games, but were always a few tiles or cards short! Of course, the letters in your word won’t score if they aren’t on the board, so even huge words can be stinkers if you don’t use them at the right time. 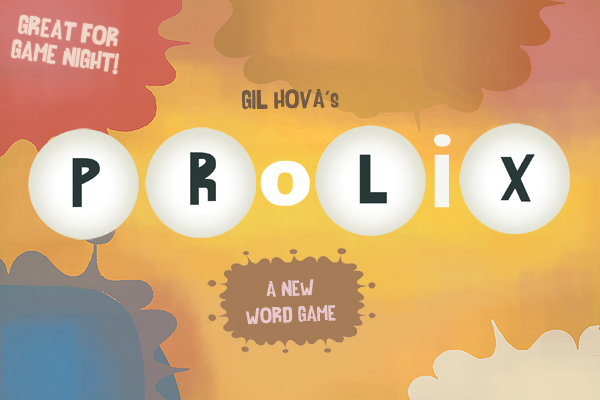 Prolix was released by Z-Man Games in September 2010.